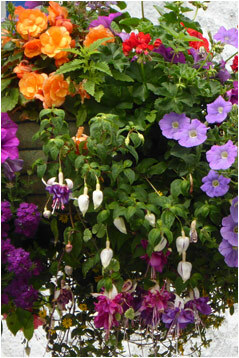 We will have groups and organisations such as the W.I., Horticultural Society and U3A at the nursery in the spring where we will demonstrate making hanging baskets, talk about new plants and produce, and show people round the nursery. We ask that the organisation donates a small amount to Children in Need. We can have up to 40 people to these events.